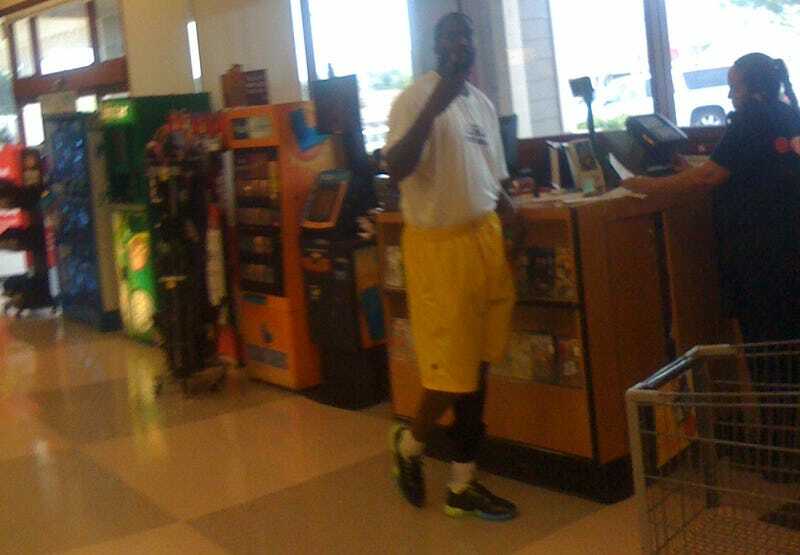 I realize the pic is of lower quality, but I couldn't contain my laughter as he was ignoring the clerk's (lady on phone holding his check) questions about his banking info to take the time to throw up peace signs. Russell's shorts deserve special commendation here. Look at those things. They must be a yard long. And the tucked T-shirt! Welcome back, JaMarcus.